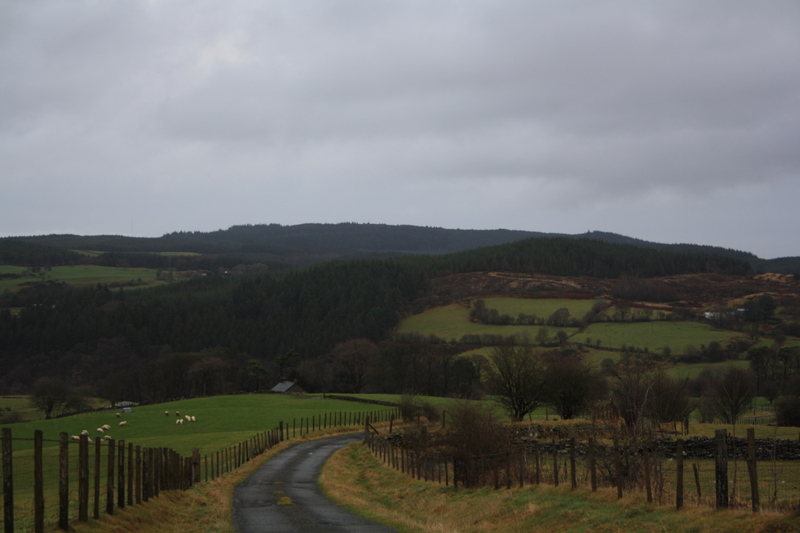 From one Llanfihangel to another – because that’s how Wellhopper rolls. 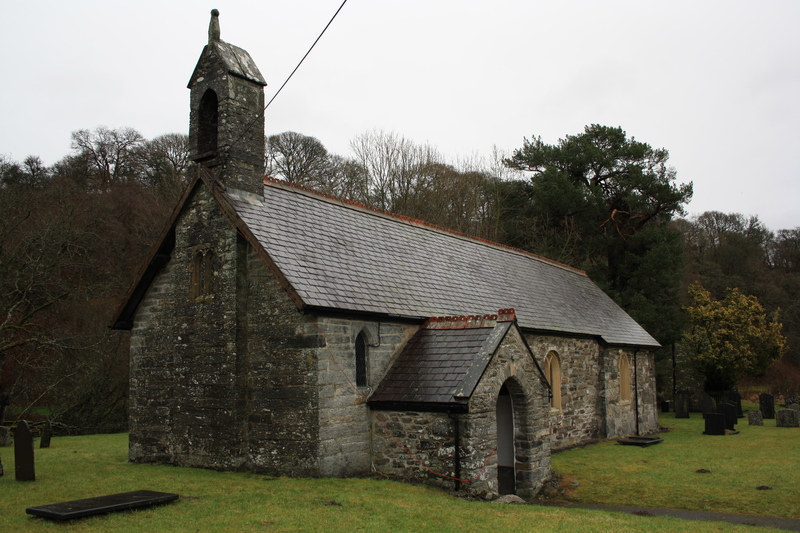 Today we visited Llanfihangel Glyn Myfyr in search of Ffynnon y Saint – the Well of the Saints. The maps record the well as lying on the left hand side of the track approaching the farm beside the track and the field boundary. 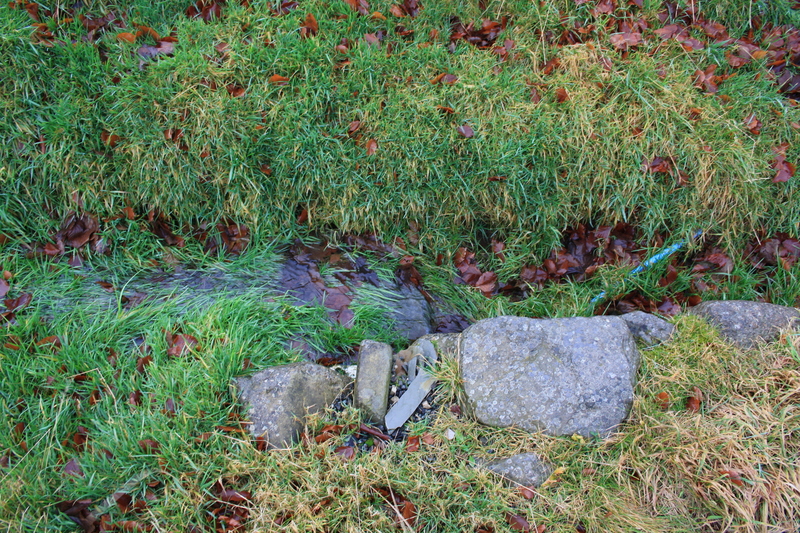 On our visit a small stream was flowing beside the track, although the gap between the track and the fence seemed much less than that implied by the maps, suggesting that possibly either the track or the field boundary has been adjusted in the 100 years since the maps were drawn up. The other side of the track was marshy with tracks of streams flowing through it; a stone covered, concrete lined tank was there filled with water. The farmer said that all signs of the well had vanished, but then one kind of thought that he would, wouldn’t he? I have found no accounts associated with the well or any customs associated with it. 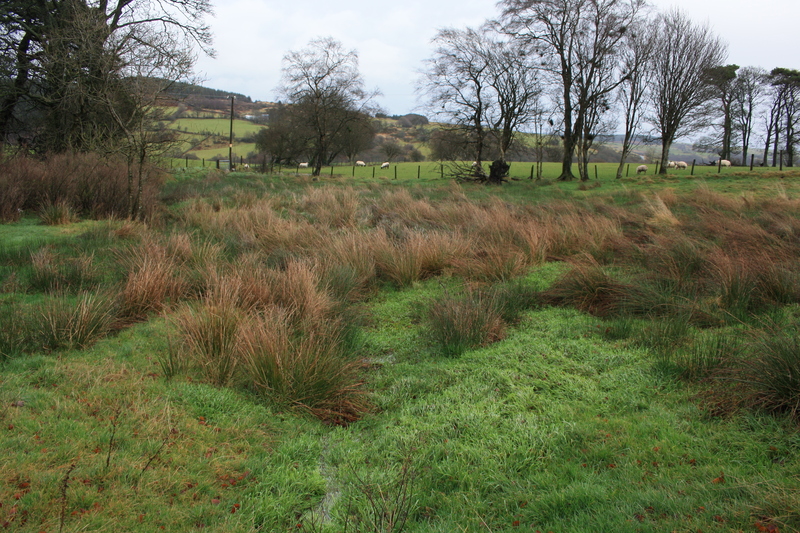 No evidence that it is linked with the church and with St Michael, or with some other now lost ecclesiastical foundation, there is a field across the river known as Cae’r Saint, again with no recorded history or reason attached. Clearly there is a distant memory a religious significance now long lost, preserved only in these names within the landscape Llanfihangel Glyn Myfyr. 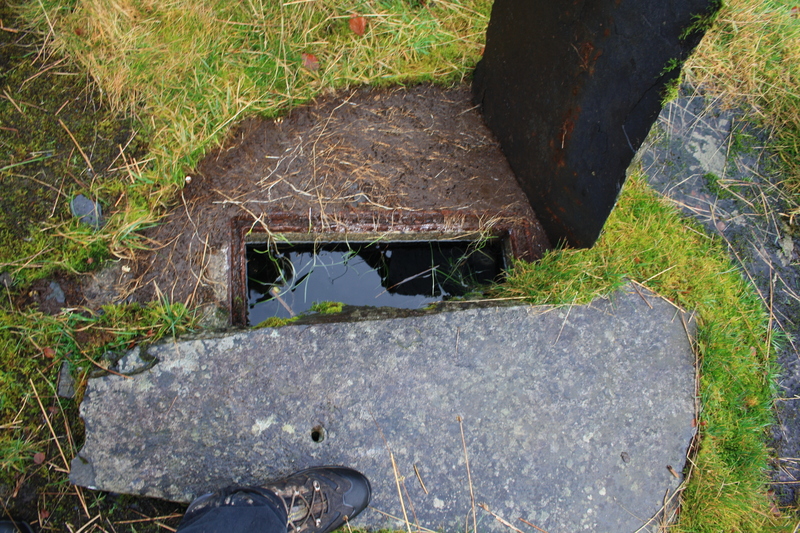 As we returned to the car, through the drizzle and gathering gloom, I tried explaining that it is just as interesting and important to document finding nothing as it is to record finding an impressive well chamber. I have a feeling few were convinced by the argument.